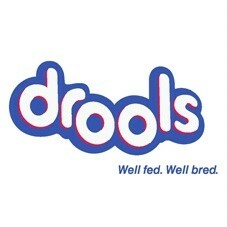 Buy drools Focus Adult Dog Food at discounted prices from our store. Raw Material:- Real Chicken(>40%), Whole Dried Eggs, Long Grain Rice, Oatmeal, Flax Seed Oil, Sunflower Oil, Fish Oil, lecithin, salt, Beet Pulp. Vitamins:- Vit A: 22000 IU, Vit D3: 1500 IU, Vit E: 250 Mg, Vit C: 150 Mg, B1: 8 Mg, B2: 22 Mg, B6: 11 Mg, Choline: 2500 mg, folic acid- 2 Mg,Beta-carotene-50mg and Others: Natural Antioxidants (Rosemary Extract),Glucosamine,Chondroit in Sulphate, Probiotics and Prebiotics,Essential Amino Acid , Organic mineral. Type: Foaming Gel Quantity: 200ml. For both cats &amp; dogs Efficient control of fleas &amp; ticks. Ideally suitable for the more hairy coat.